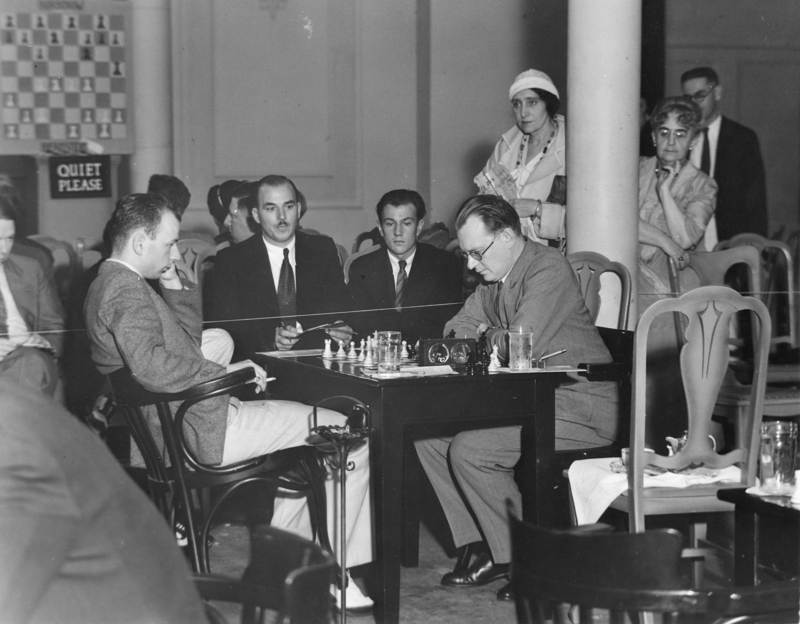 These two photos comes from the chess archives of Jacqueline Piatigorsky who inherited them from her chess teacher Herman Steiner. The first photo can be found in Casey Bush’s book Grandmaster from Oregon about the late Arthur Dake. 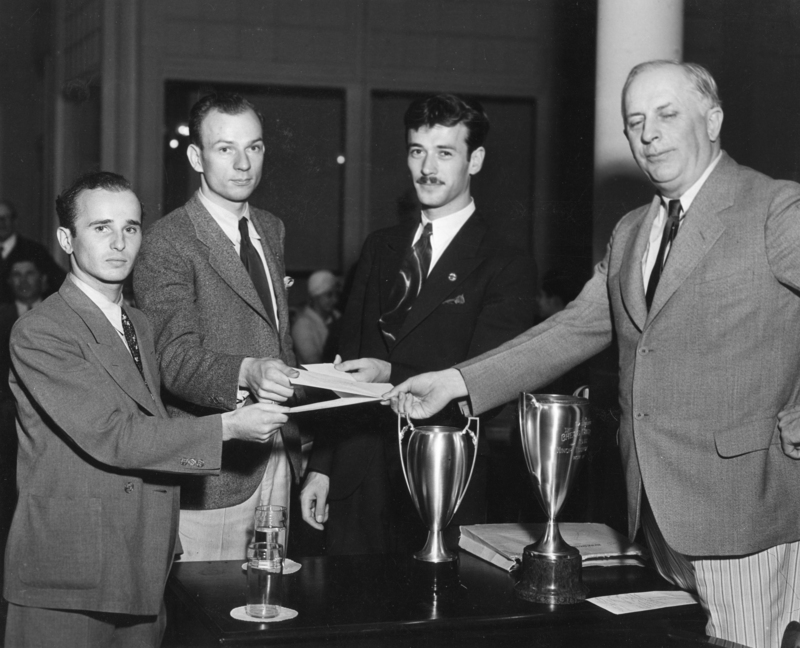 The second, showing Sammy Reshevsky, Arthur Dake and Herman Steiner receiving their prizes for tying for third place, is apparently new. The man presenting the envelopes is likely Dr. Robert Griffith. Both photos were taken during Pasadena 1932.